. When you do a search for [eiffel tower] you'll find an array of images of the tower in the daytime, in black and white, at sunset and more. With Similar Images, which recently graduated from Google Labs, you can click "Find similar images" to narrow your search to, say, pictures of the Eiffel Tower lit up at night. Today, we've launched an experimental feature in Labs called Google Image Swirl, which builds on new computer vision research to cluster similar images into representative groups in a fun, exploratory interface. You can then further explore additional sub-groups within any cluster. The interface may look familiar to those of you who have tried Google's Wonder Wheel available in the Search Options panel, which enables you to explore related search queries. 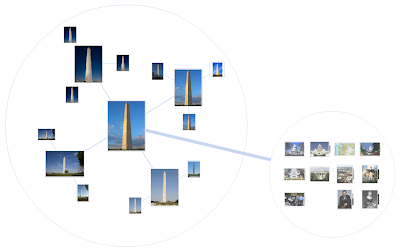 Image Swirl expands on technologies developed for Similar Images and Picasa Face Recognition to discern how images should be grouped together and build hierarchies out of these groups. 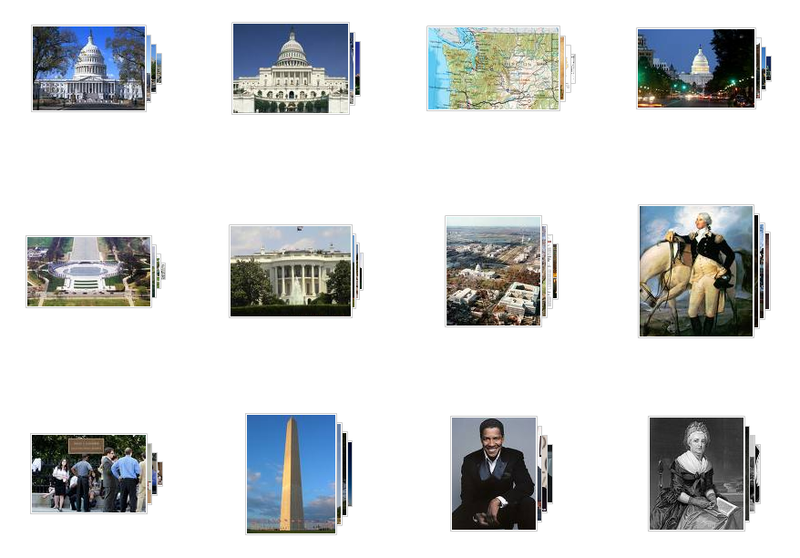 Each thumbnail on the initial results page represents an algorithmically-determined representative group of images with similar appearance and meaning. These aren't just the most relevant images — they are the most relevant groups of images. Image Swirl currently works for more than 200,000 queries and we plan to include more queries in the future. Available queries will auto-complete as you start to type in the search box, similar to Google Suggest. You can try out Google Image Swirl in Google Labs today. The feature is experimental and the underlying technology is a work in progress, so please share your feedback and let us know how we can make it more useful. Update on 12/16: Check out our post on the Google Research Blog to learn more about the underlying technology behind Google Image Swirl. Back in 2001, to give people a new, quicker way to find images, we launched Image Search. When you do a search for [eiffel tower] you'll find an array of images of the tower in the daytime, in black and white, at sunset and more. With Similar Images, which recently graduated from Google Labs, you can click "Find similar images" to narrow your search to, say, pictures of the Eiffel Tower lit up at night. Today, we've launched an experimental feature in Labs called Google Image Swirl, which builds on new computer vision research to cluster similar images into representative groups in a fun, exploratory interface.